How to apply for a SU? 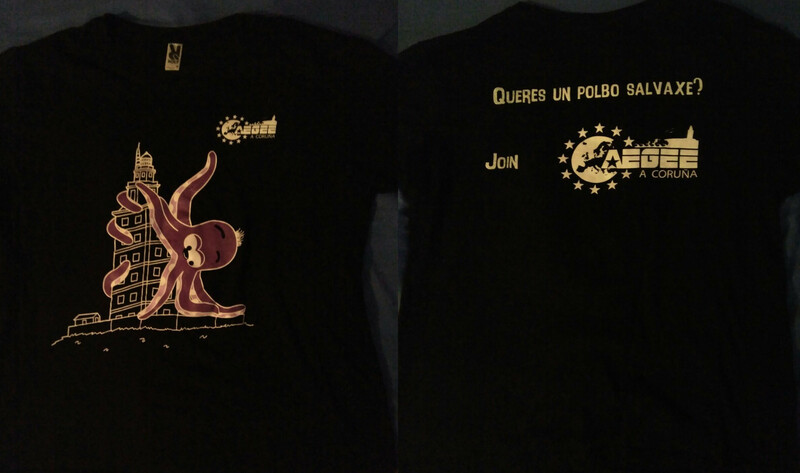 For only 6 euros! Also available in grey. Don't miss the chance! We are no longer publishing in the website, please check our facebook page to be updated! 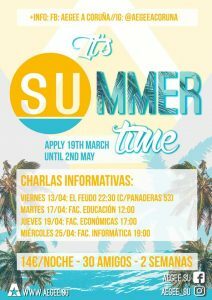 Finally, remember that the application deadline for our beloved Summer University is now open, you can apply until May 2. 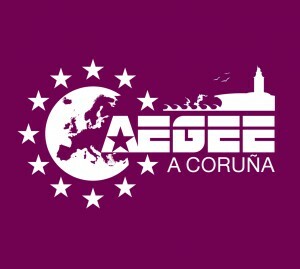 We start a new year, and therefore AEGEE – A Coruña return with charged batteries! Would you like to become a Member? Do you have questions? Don’t know very well what we are about? Have heard about us and you have curiosity? Want to participate in our activities? Until now you can contact us through the email or Facebook, but now you can talk to us in person! Starting today we’ll have office hours (Facultad de CC de la Educación, piso -3- Local de Representación Estudiantil). We will be there on mornings (monday to friday) from 10:00-13:30 to resolve any doubts you may have. As every year, here it is our beach volleyball tournament again. For us, sports are an important part for integration, specially outdoor activities to make bounds with people and nature at the same time. 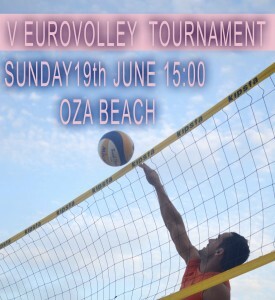 We will be on June 19th after 3 pm, at Oza Beach. This tournament is the closing event for our sport activities calendar, so we count with all of you! Finally thanks to all for your collaboration and participation in all our events in this year!